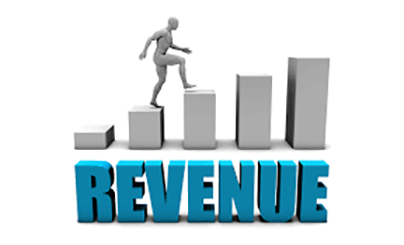 The goal of a business website is to generate revenue, right? A website shouldn’t just put on a pretty face; there should be strategies behind it to implement ongoing revenue generation. Once the site is up, what can you do to make more money? Ask for a testimonial. Then place their name and company in a prominent location. Be sure to get their permission and keep in touch about site traffic on the page where their name appears. Who knows? You might get more business from them as a result of your good will. Post their business information on a sidebar and charge a nominal fee for “advertising.” Visitors are already familiar with Google Business page listings and if you want to recommend another company on your own site, what’s stopping you from setting up a sidebar listing? (Likewise, ask them to reciprocate on their website.) Remember, the more external links on your website, the higher your SEO rankings. Build a “quickie” shopping cart. Want to sell products related to your primary business on the side? Then build a low-cost Weebly shopping cart linked to your primary site. You won’t need to spend a lot of time in development, your “flagship” site won’t be disrupted, and the hosting/shopping cart fees are minimal. Offer expert information on relevant topics. It’s hard for your visitors to keep up on timely information. You can offer a real benefit by creating a downloadable pdf file with useful advice. This gives you the chance to shine as an expert in your field and offer a “taste” of how you can help them. On a WordPress site, a plug-in like Easy Digital Downloads can be used to accept payment. Which of these might work for you? Each can give a real boost to a website that hasn’t been updated lately. Implementing any one of the above will increase your credibility and trust with prospects as well as put a little extra money in your pocket. What to know more about how to begin? Just call Nancy at 414.771.8906 for a consult or email nancy@cavanaughinteractive.biz.